Airpura air purifiers while not garnering the award for ease of changing filters or aesthetics, is a brand which has garnered top marks from our testing team. The Airpura line of air purifiers have been carefully tailored to answer a variety of specific air purification problems. 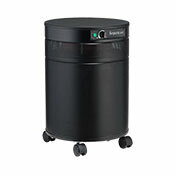 They do not skimp on the quality of their component parts and are very serious about providing a first class air purifier that really gets the job done. Airpura replacement filters are available for each model. Since all Airpura air purifiers use the same basic design, filters are interchangeable allowing you to choose the replacement filters that best suit your current filtration needs regardless of the original model purchased! 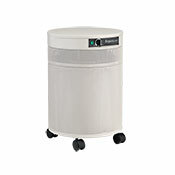 Airpura has shot up the charts in our air purifier favorites category. They have done almost everything perfectly, only falling down in our opinion with difficult filter changes (use a screwdriver and turn the machine upside down) and lack filter change monitoring. Otherwise, Airpura has learned from the mistakes of others and does a first class job at producing air purifiers which are carefully tailored to a variety of special needs, and all for a very fair price. Each Airpura filter is of excellent quality and what's unique is each air purifier has the same basic design so their filters can be reconfigured if your air cleaning needs change at a later date. 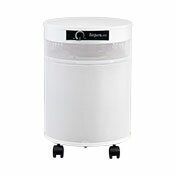 All Airpura air purifiers have a metal housing and do not use plastics or glue which can off-gas and cause irritation. The design is simple but highly effective and features unobstructed airflow and a powerful motor to move a lot of air quickly, quietly and efficiently. Whether you are looking for an all around air purifier or one specifically for removing tobacco smoke, pet dander & odors, VOCs, or specific chemicals, Airpura has an air purifier tailored for your needs. If you do not see exactly what you want, call us, and we will work with the manufacturer to customize an Airpura air purifier to your exact requirements. 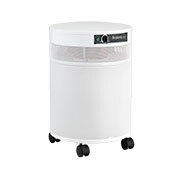 Airpura air purifiers are also particularly well suited for those with MCS.